Make One or Several Pillows, Wall Hangings and More! 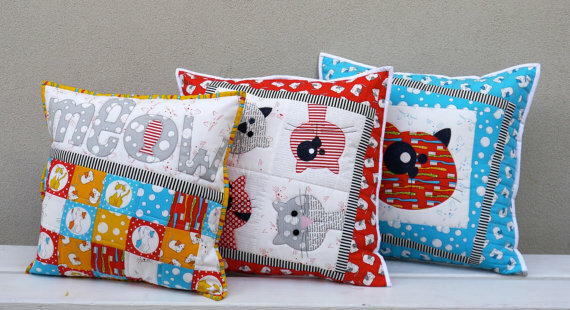 Fun and fanciful cats and dogs make up these charming pillows. The designs make fun wall hangings, too, or use them in other projects. Choose either the cats, the dogs or both. 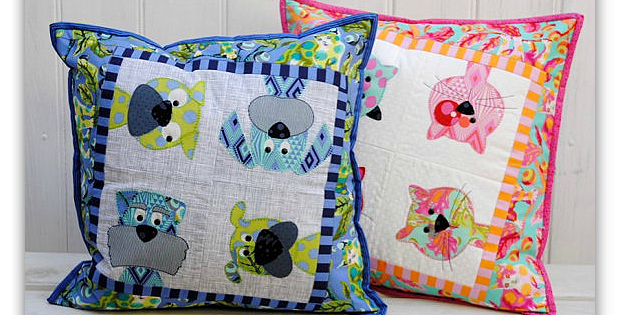 Give each animal its own personality by selecting fun fabrics for each. There are so many ways these patterns can be interpreted that you may find yourself making several. 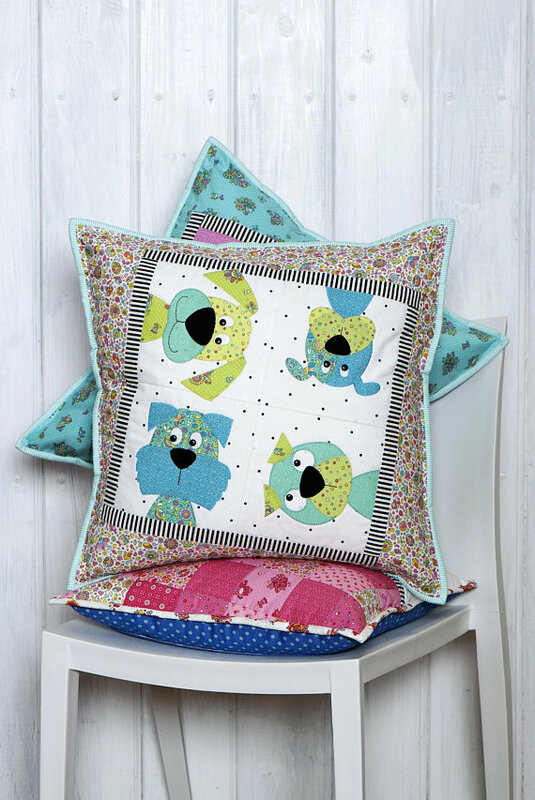 The pillow patterns, from Clair Turpin Designs, are for two sizes – 18″ and 16″. 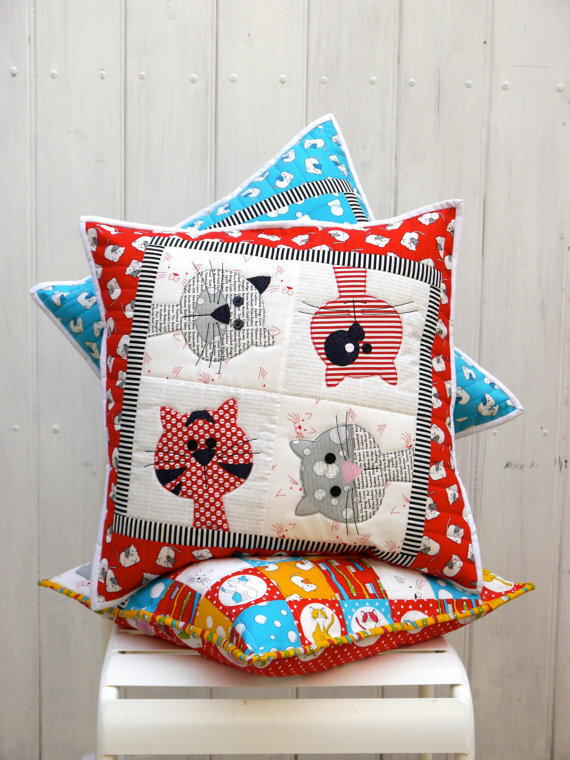 Click here to purchase the “Kitty Cats Cushion” pattern. 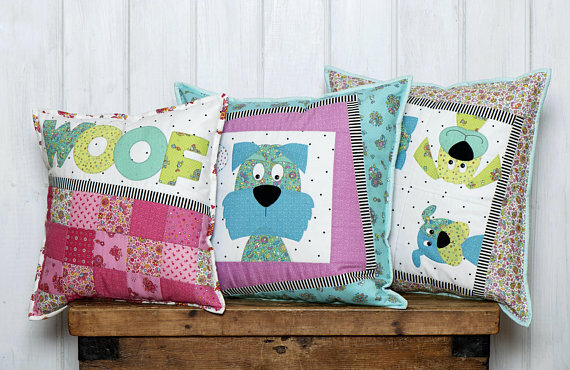 Click here to purchase the “Woofers Cushion” pattern.